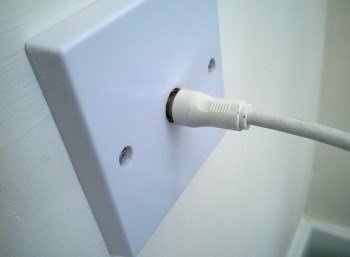 Your TV aerial's indoor connection point can help contribute to the reception quality of your TV, so it is important to have it installed correctly. If the aerial point install is done incorrectly, your image and sound quality may be degraded, leading to a suboptimal TV viewing experience. Because your TV aerial point is a connection between your aerial and your TV, it is a key connection point and it is critical that you have it installed correctly and professionally. Adelaide Telefix has been installing TV aerial points for years, and our technicians are experts who will be able to best install the TV aerial point in your home. Along with installing a single connection point, we can also install multiple indoor connection points to allow more than one TV to access the same aerial. 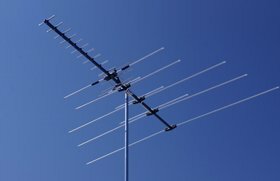 Accessing the same aerial through multiple connection points is useful because it means that you can use multiple TVs off one aerial, rather than having to buy and install a single aerial per TV in your home. This also allows you to move your TV to wherever an aerial connection point is, and easily plug your TV into that connection point. Get in contact with us at Adelaide Telefix if you would like additional connection points, and we can install these for your home. To ensure the best quality image and sound for your TV, your TV's indoor connection point needs to be installed in the most optimal areas of your home. This varies between each home and TV setup, so contact the experts at Adelaide Telefix and our trained technicians can determine the best area for your connection point, and install the connection point so that you get the highest quality audio and images from your TV. Not only do we install indoor connection points, but we can also service and fix any existing indoor connection point that is problematic, ensuring that you get the highest quality image and sound from your TV. If you're looking to get a new indoor connection point installed, or additional indoor connection points for your existing setup, contact us at Adelaide Telefix. Our team of quality aerial point fixers can install your new or additional connection points to your home, and ensure they are installed so that you get the best quality TV experience.